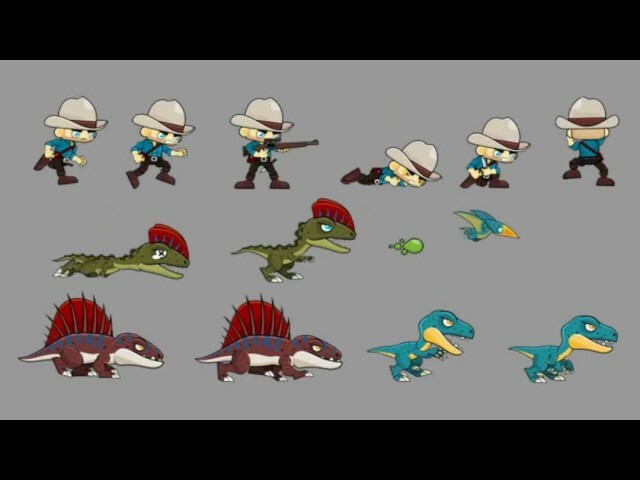 A collection of Jurassic, nature, and dinosaur-themed game character sprites for creating 2D games. Suitable for platformer, adventure, action, and endless runner games. — 1 hero with 22 animation states. — 7 dinosaur enemies: Raptors, Pteranodons, Dilophosaurus, Dimetrodon, and Pachycephalosaurus.